Guns, gold, and outlaws oh my! We’re talkin about the wild west of the historic town of Deadwood, South Dakota. Deadwood is located in the heart of the Black Hills. Don’t know the Black Hills? Well, if you’re a history nerd or nature lover, the Black Hills is the place for you. There’s more to the Black Hills than Mt. 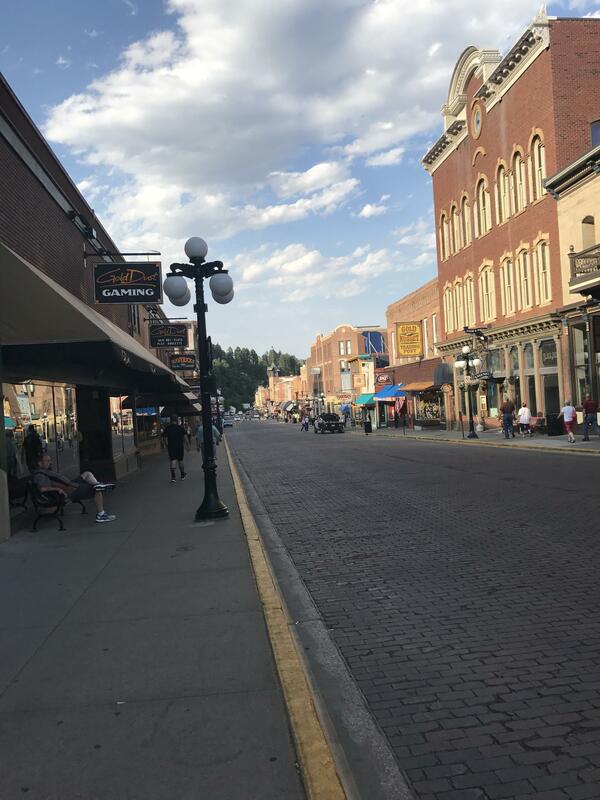 Rushmore; hiking, fishing and in Deadwood: gambling! 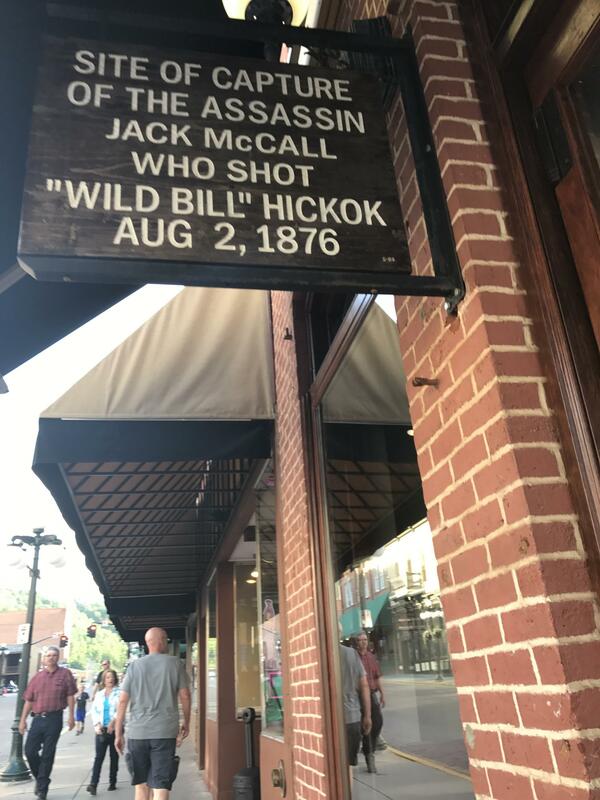 This town used to be home to the famous Wild Bill Hickok (Wild Bill Days are in June) and the sharp shooter Calamity Jane. 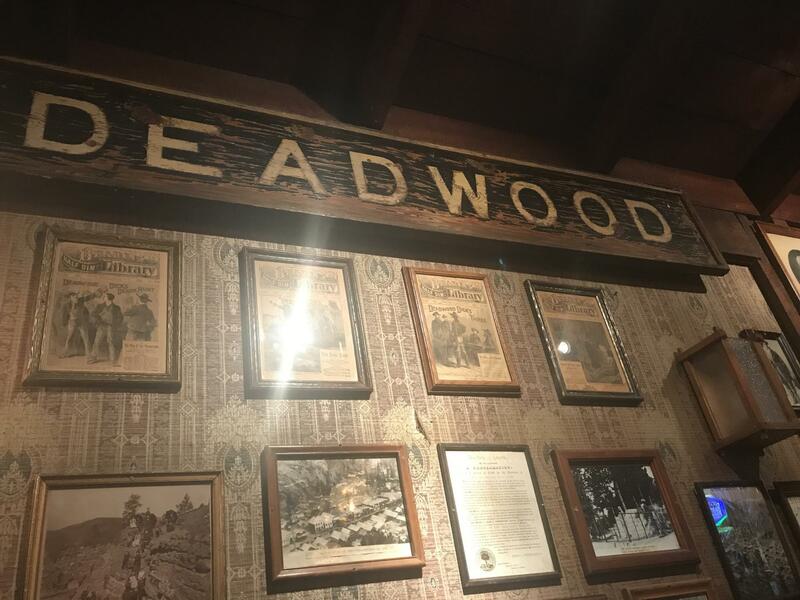 In the 1800’s, Deadwoods popularity to fame came from the Gold Rush. In the 1900’s, they legalized gambling and boom! 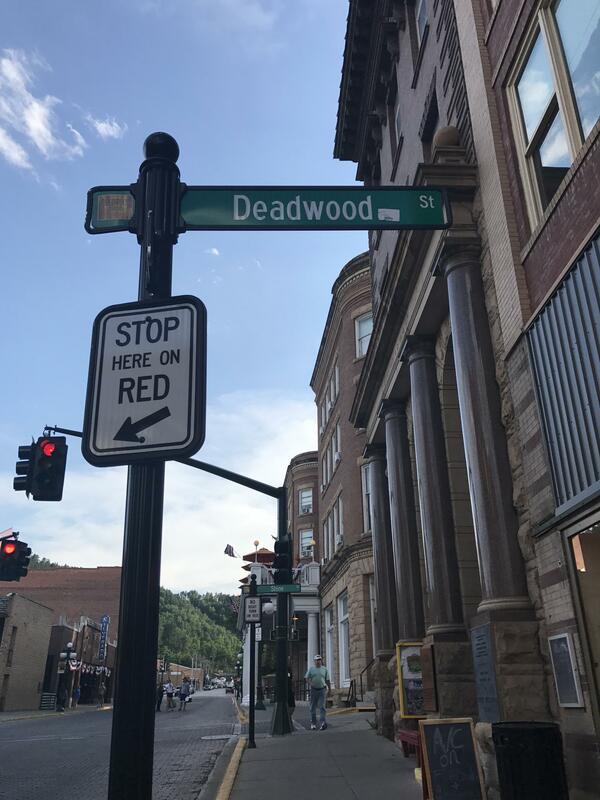 The town of Deadwood became the place to go. Especially, for Actor Kevin Costner who was filming the Academy Award winning “Dances with Wolves,” when he bought a casino, Midnight Star. On the main street, you can find a collection of casinos, bars, restaurants, shops and ton of entertainment. 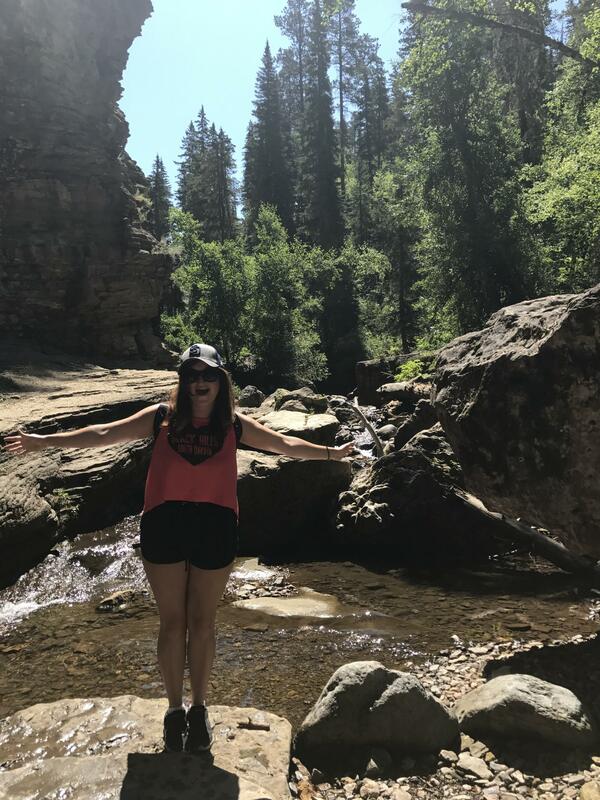 Here’s a list of my favorite things to do in Deadwood, SD. Although, the lodge is off the beaten path from the main Deadwood downtown, it is a lovely place to stay with your family. They have an indoor pool water park, 24 hour casino and full service restaurants. They also have trolleys that run every 10 minutes to downtown Deadwood. My dad and I stumbled across one of the most awesome tasting rooms I’ve been too. 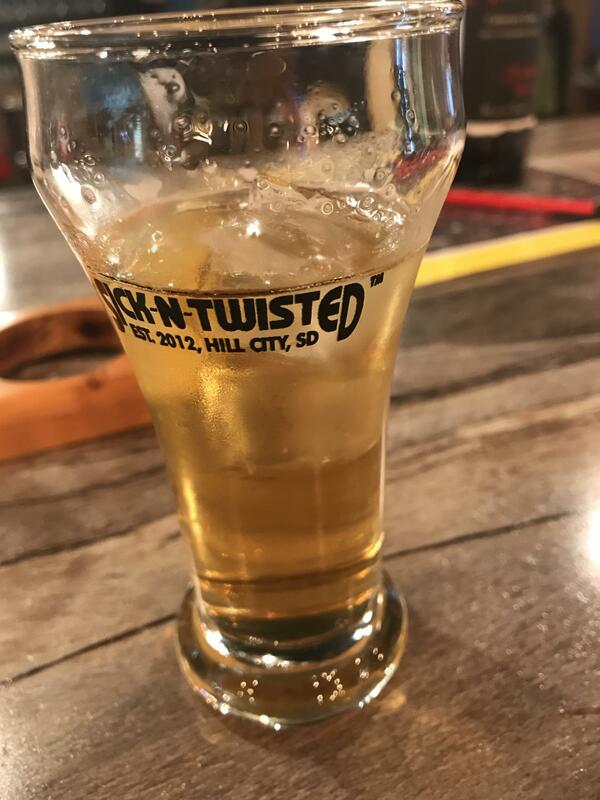 Both Naked Winery and Sick N Twisted Breweryare partners and serve up some sweet wine and delicious brews. You can order pizza from the pizza shop located in the same building and have it delivered to the tasting room. 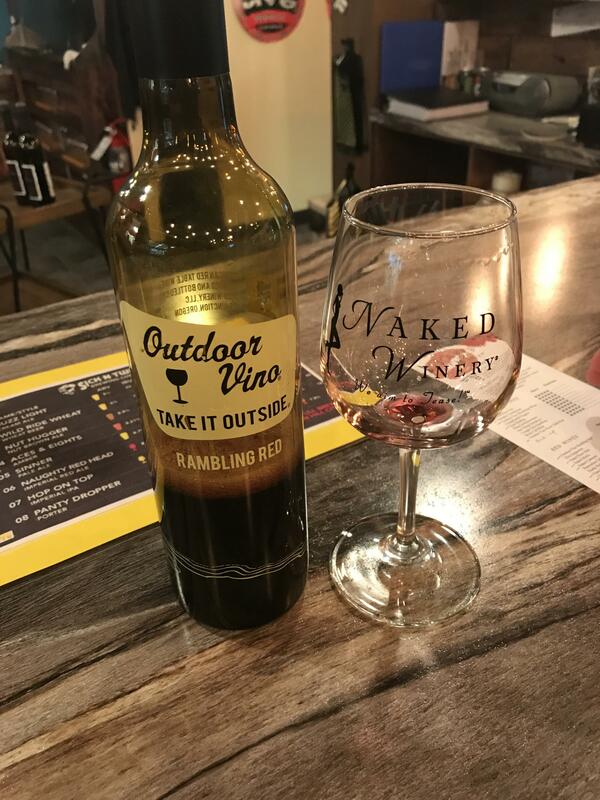 The Naked Winery’s names and descriptions on the wine bottles are hilariously inappropriate. 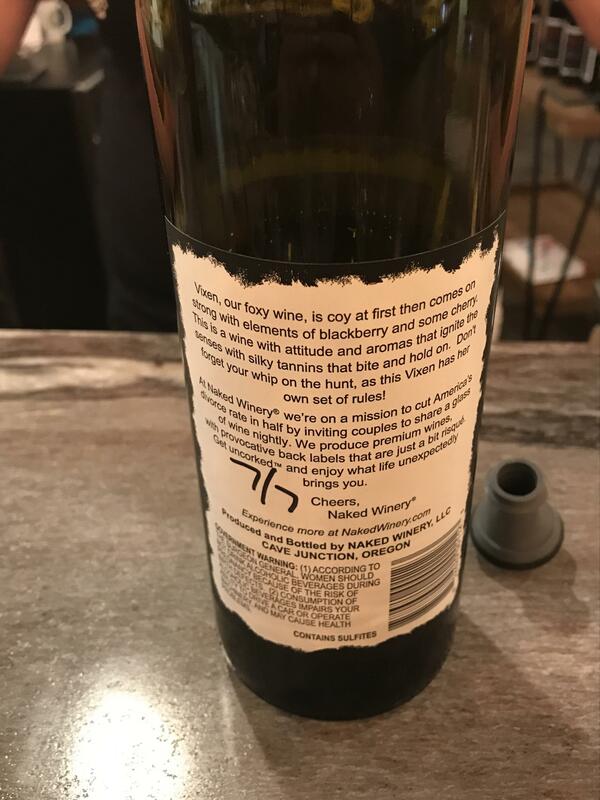 Read the picture of the bottle. Saloon No. 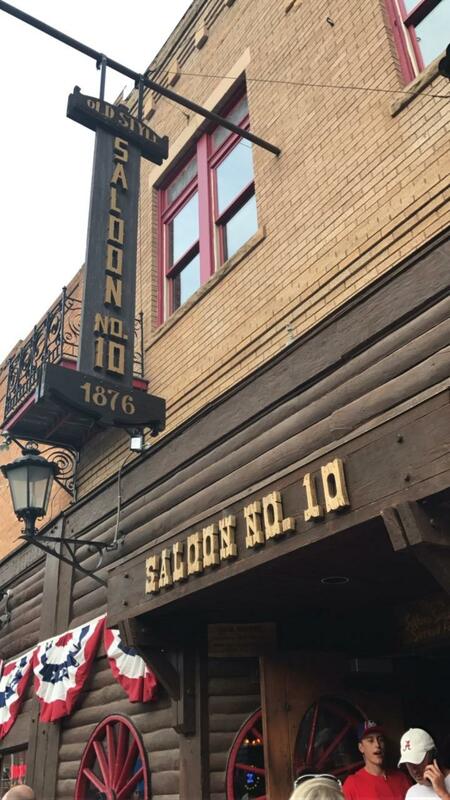 10 is my favorite bar in Deadwood. 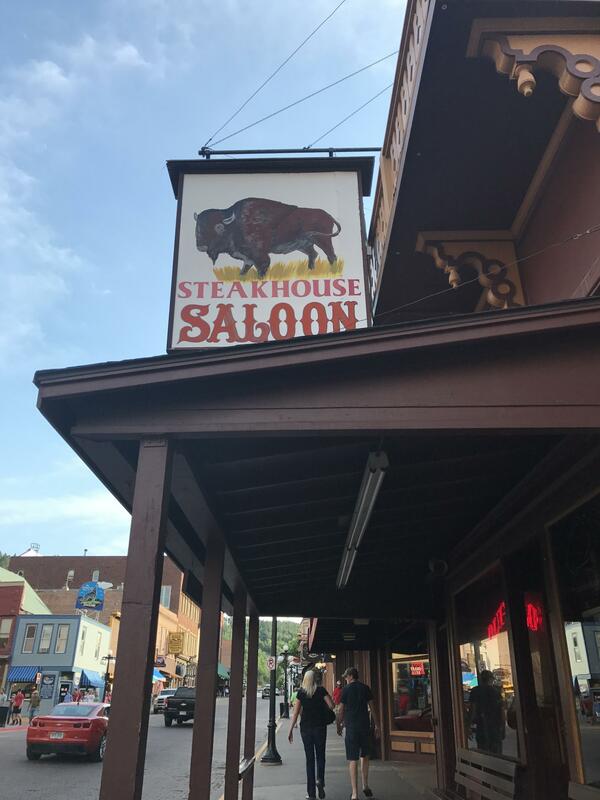 Have dinner on top level that offers a great view of the historic Deadwood main street. 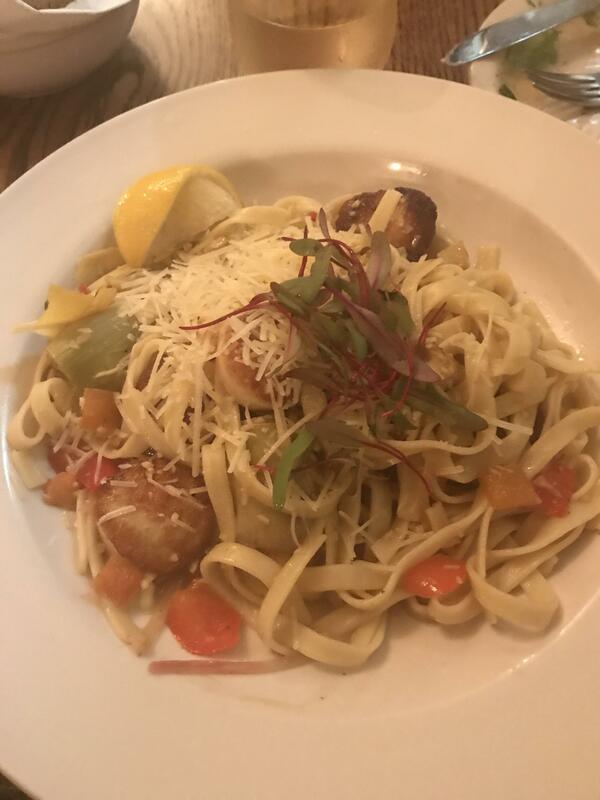 The food is the most gourmet you’d find around those parts. 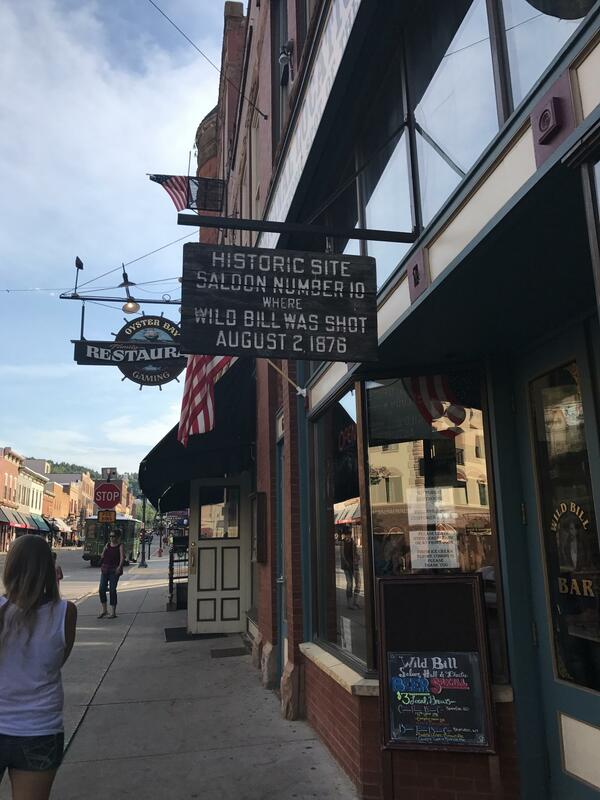 Down at the bar, is where Wild Bill Hickok was reportedly assassinated. The Saloon has gambling of course and the best live entertainment that will have you dancing all night long. 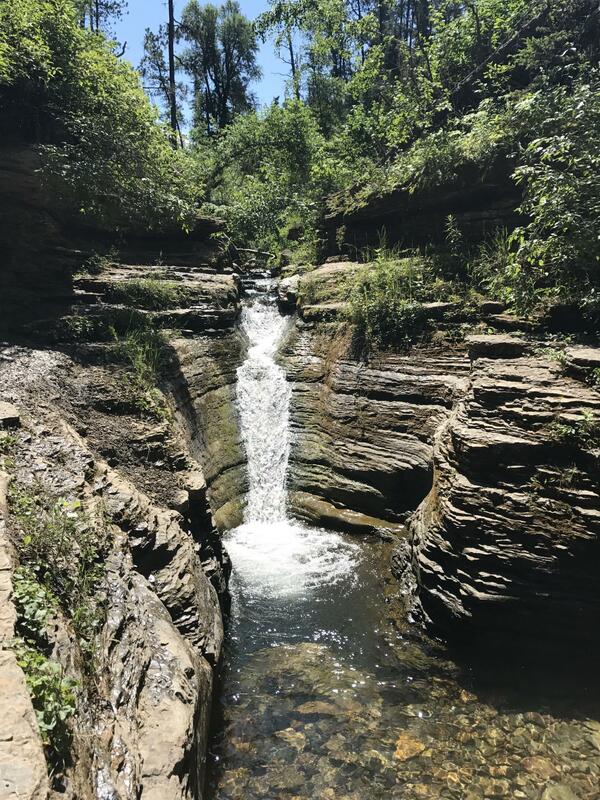 Spearfish Canyon has a variety of hikes you can choose from. We chose the Devil’s Bathtub. 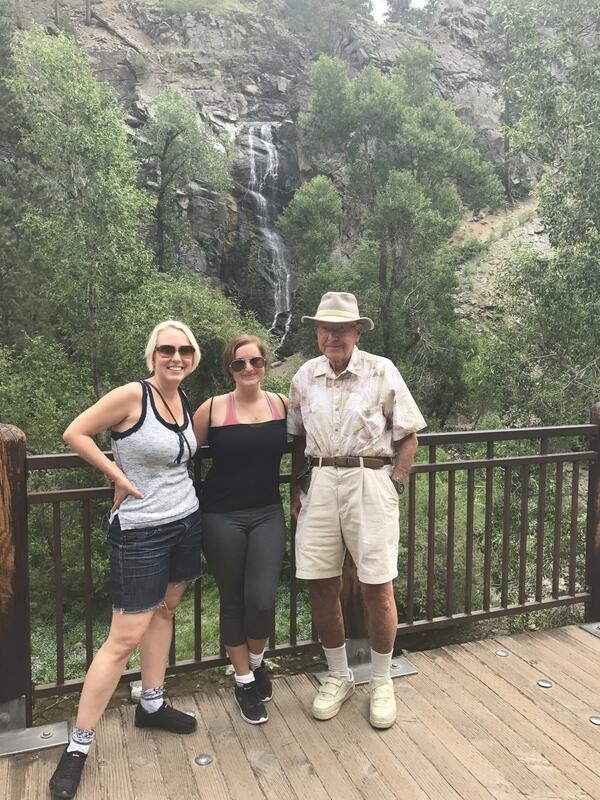 They hike is easy to moderate and for the whole family. 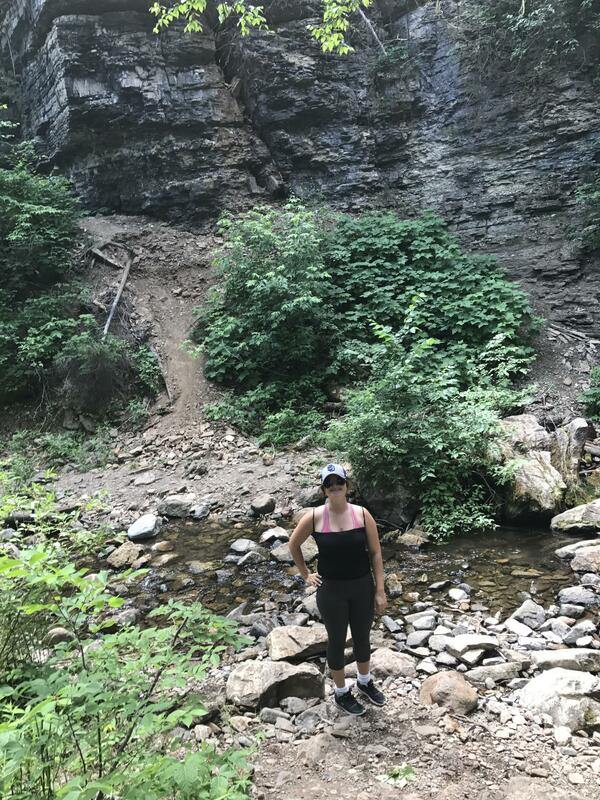 This hike has beautiful limestone walls and a creek that runs through it. This hike is perfect for a hot day so wear your swimsuit so you can slide into the watering hole. I had the pleasure of going back to South Dakota (twice!) this summer for family reunions. 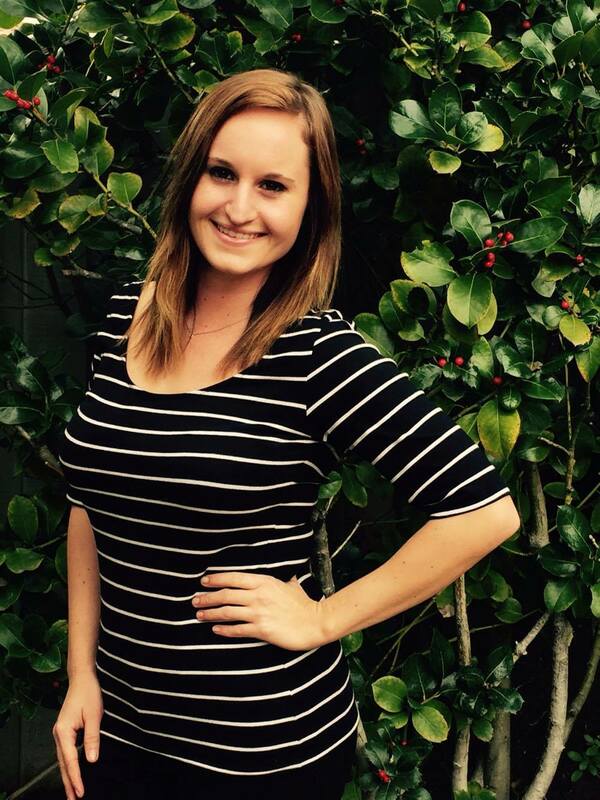 It was fun to go back to my roots. 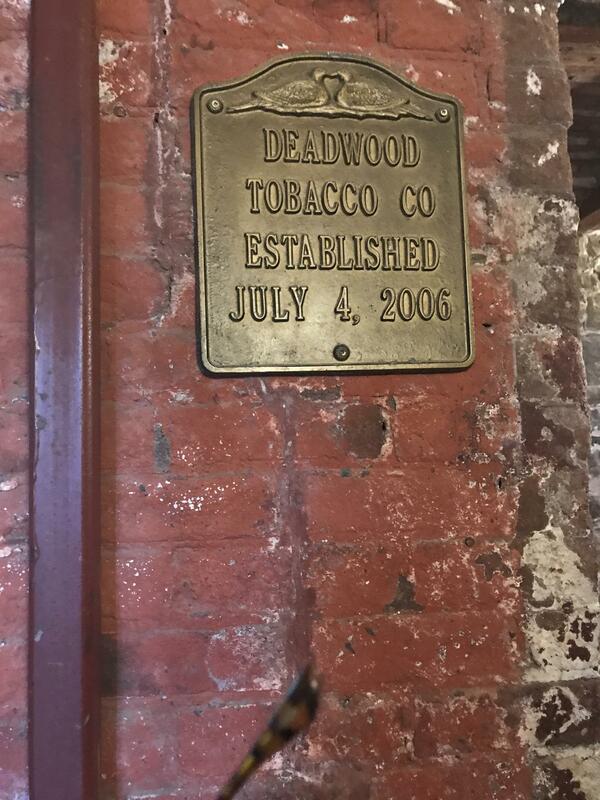 If you ever make it to the Black Hills, make sure to stop into Deadwood.